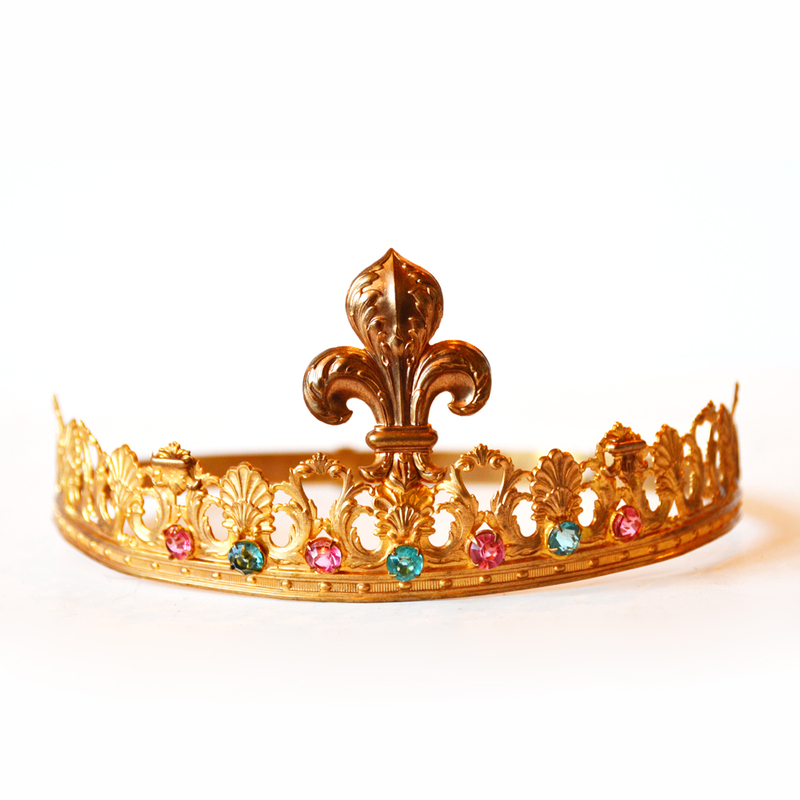 This is such a breathtaking antique French tiara or crown. This crown comes to you direct from France. 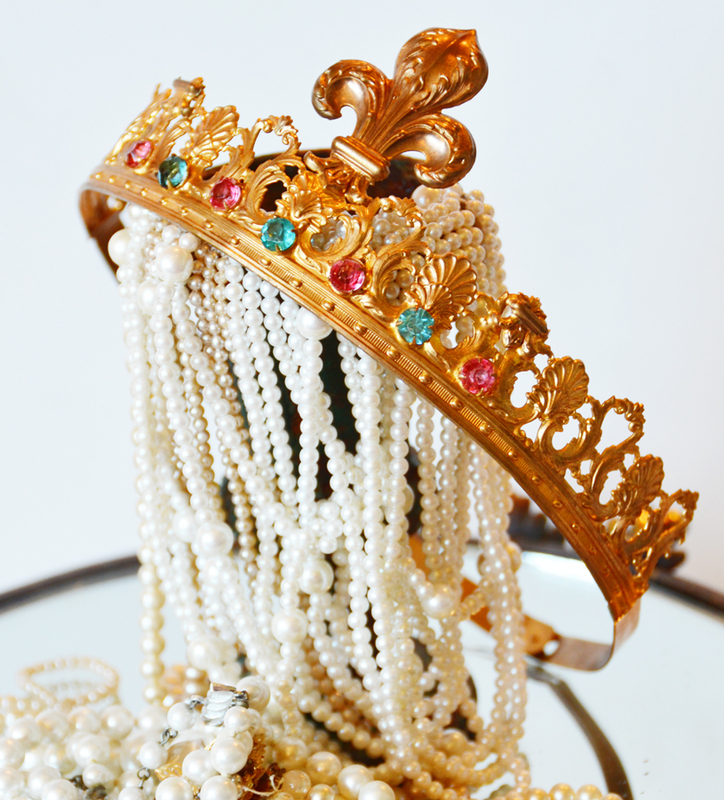 This tiara is just precious, dates to the early 1900s. The metal is a gilt brass ormolu with a beautiful large center Fleur De Lis complimented by pink and aqua paste stones. The stones are brilliant facets to catch the light. 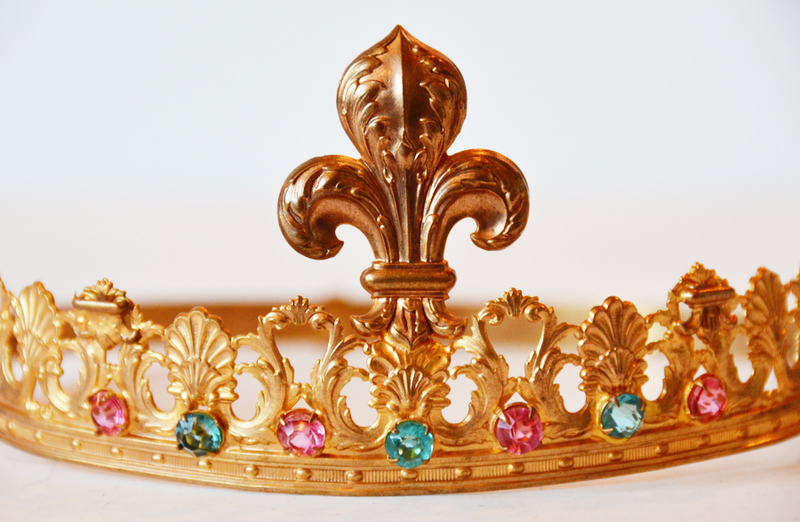 You can use these old crowns in so many different ways of decorating.